Home Courses The Quantum Internet and Quantum Computers: How Will They Change the World? There is no doubt that quantum computers and the quantum internet will have a great impact on our world. But we don’t yet know quite how. As with traditional computers – we will only see the effects in the decades to come. This course will provide you with a basic understanding of quantum computing and the quantum internet. Together, we’ll peek into the fascinating world of quantum phenomena, such as qubits, superposition, and entanglement. We’ll envision the potential impact of quantum computing and the quantum internet. You’ll explore various application areas, such as quantum chemistry, quantum machine learning, encryption and secure communication, factorization, and blind quantum computation. The course is aimed at a broad and diverse audience including policy-makers, people with a scientific or personal interest, business executives, and students at all levels. We invite you on a journey beyond what is known to us now, and to envision a world with quantum technologies. This journey will continue in a second course planned for May 2018, where we will expand from an understanding of the building blocks of Quantum Computers to look at further applications and possibilities. 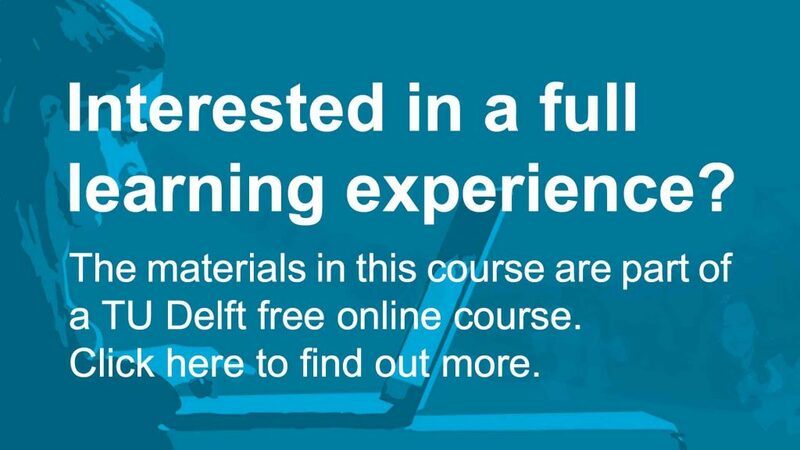 This course is authored by experts from the QuTech research center at Delft University of Technology. In the center scientists and engineers work together to enhance research and development in quantum technology. QuTech Academy’s aim is to inspire, share and disseminate knowledge about the latest developments in quantum technology. The key application areas in which quantum technologies will change the world. Module 1. The Quantum Internet and Quantum Computers: How Will They Change the World? Quantum Internet and quantum computers how will they change the world I by TU Delft OpenCourseWare is licensed under a Creative Commons Attribution-NonCommercial-ShareAlike 4.0 International License.